"Manuel Castells holds a well-deserved place at the centre of debates over the 'information age' that he helped to name. Felix Stalder offers a sustained and careful appraisal of Castells's work, both incisively critical at some points and generously acknowledging the quality of his achievement at others." 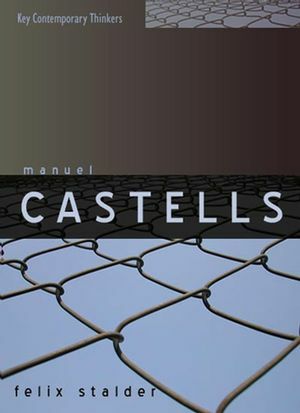 "This book is a very beautiful model of how one mind engages with another: Felix Stalder has seized the essence of Manuel Castells's work and its immense relevance to our time. Daring to be positively critical, Stalder enlarges and also defines Castells's arguments. Thus the book multiplies Castells by Stalder and the result is an instant expansion of the mind of the reader."